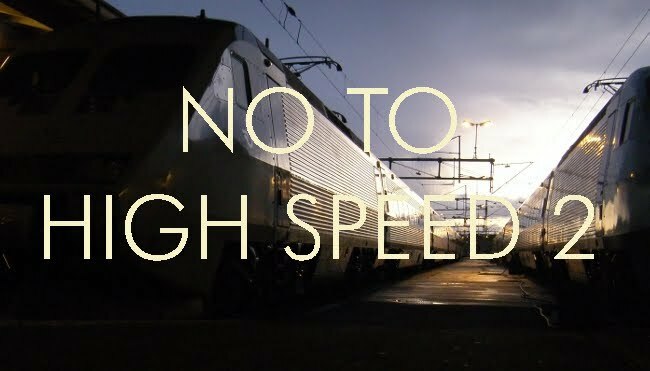 The Guardian has published a couple more articles against HS2, one by specialist rail commentator Christian Wolmar, and another today by journalist Simon Jenkins. The main arguments in favour will doubtless be wheeled out by the commentators: the need for capacity and the disruption caused by upgrading existing routes. HST itself will severely disrupt services to Euston during the construction period. Capacity can be increased at a fraction of the cost by a variety of measures, provided that it is accepted that the additional traffic will run at existing speeds. It is not generally known that the Midland main line is, or was, four track all the way from London to Trent Junction, between Nottingham and Derby. This is because the additional tracks are separate, having been added for coal trains which trundled down to Brent sidings, on the edge of London, from a collection point at Toton in Nottinghamshire, where the Midland Railway build a huge marshalling yard. Beyond Derby, the main line to Manchester was severed between Matlock and Buxton, but the route remains intact and could be reinstated at a relatively modest cost, thereby providing a complete new route to Manchester with connections from the East Midlands. South of Rugby - ie the most congested part of the West Coast Main Line, an additional route could be created by reinstating the Great Central and its associated connecting lines. There is a need to relieve the very busy section through Rugby, Coventry and Birmingham International, but that could be more usefully provided by constructing some kind of metro system and giving back the main line for the London traffic. China today evinced interest in reviving its proposal to build high-speed railway projects in India, for which Japan has been considered a partner for the country's first such venture.